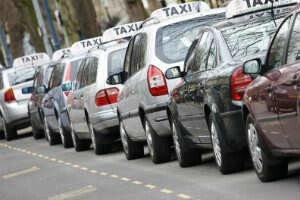 The cost of using a taxi in Cheltenham will increase from this week, following a review of taxi fares. The borough council sets a maximum Hackney Carriage (taxi) tariff only. This means that the driver of the vehicle cannot charge more than this fare which will also be displayed on the taxi meter in the vehicle. The driver can however charge less that the maximum fare, if they so wish, in negotiation with their customer. Councillor Steve Jordan, leader of the council, said: “The council has a responsibility to regulate the fares which are passed to customers by our licensed taxi drivers. “It is important that we strike a fair balance for both the taxi drivers, who need to make a reasonable living, and the public who use taxis on a daily basis. Louis Krog, licensing team leader added: “The taxi fares set by the council reflects the maximum charge a taxi driver can charge. This means if a member of the public took a taxi during the day, the first mile could now cost £5.00 whereas previously it was £4.70. If a taxi is taken after 8pm, a two mile journey could cost £8.85 whereas previously it would have costed £8.30. All of the taxis, also known as hackney carriages, that are licensed by Cheltenham Borough Council can be hailed from the street, operate from taxi ranks, or be pre-booked if required. Their pricing structures differ from those for private hire vehicles such as minibuses which always need to be pre-booked and can’t be flagged down.